Osteoporosis, a highly treatable disease, is on the rise globally and responsible for more than 2 million fractures in the United States alone. The incidence is expected to increase to 3 million/year by 2025. 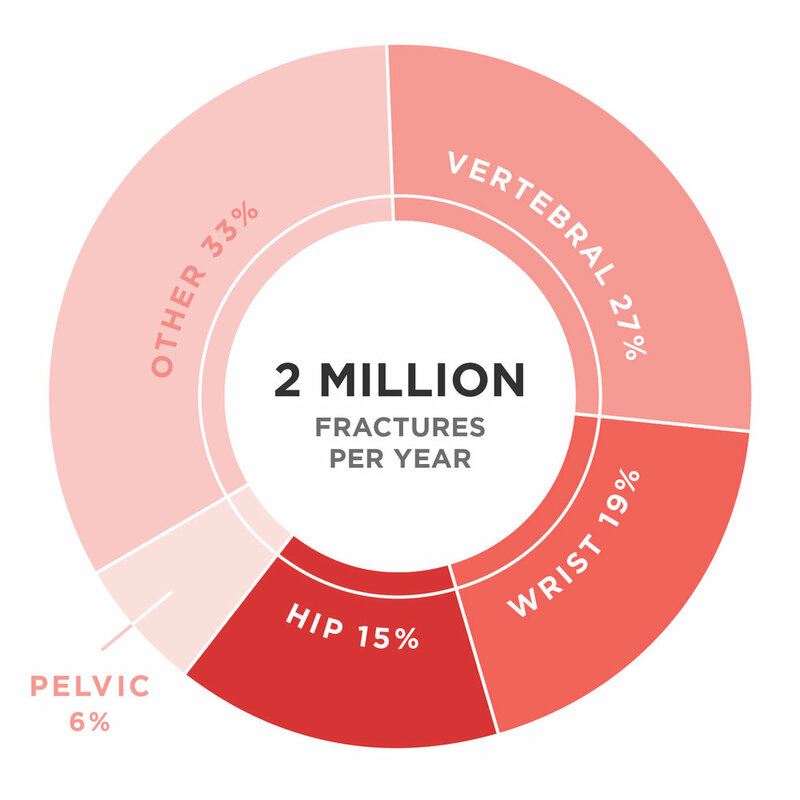 For 30 years, we saw a downward trend in the number of hip fractures in the United States. Today, it’s plateaued. And many hip fracture patients are not receiving treatment for their osteoporosis to prevent future fractures. In contrast, most heart attack patients receive beta blockers to prevent future heart attacks. Leaving these patients untreated frequently leads to debilitating fractures that cause disability, loss of independence and even death. We must take action to aggressively reduce fracture risk in our aging population. Of the 300,000 hip fractures each year in the US, 50% of patients never reach their previous functional capacity. Over 50% of the osteoporotic fracture hospitalizations are for hip fracture, the most devastating consequence of osteoporosis. Many vertebral fractures cause pain and disability but are not diagnosed or recognized as being caused by osteoporosis. Osteoporosis was one of the 10 most costly chronic conditions to Medicare in 2010. Osteoporosis and related fractures cost patients, their families and the healthcare system $19 billion annually. 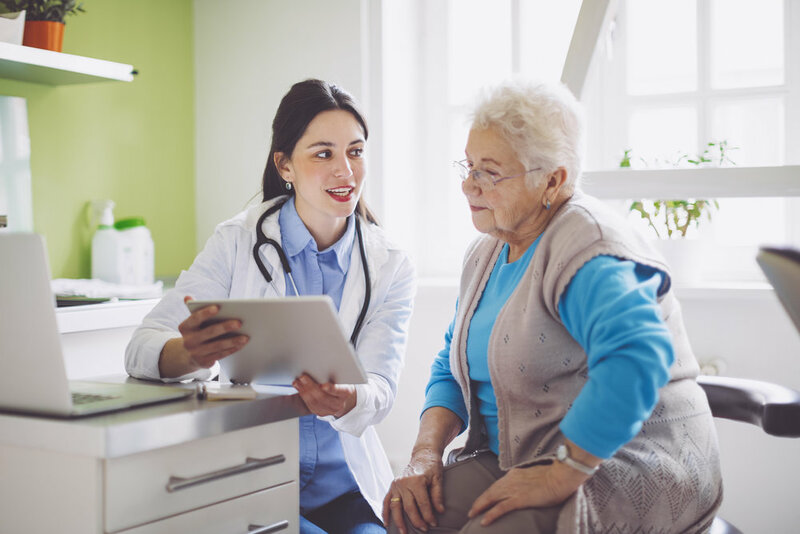 Patients, their caregivers, and physicians have inaccurate perceptions of osteoporosis and the risks and benefits of treatment. There is a lack of coordinated care between those who treat initial fractures and primary care providers. Patients who should be diagnosed and treated in the hospital for osteoporosis to prevent future fractures are not being offered treatment. There is a lack of funding for fracture liaison services to coordinate post-fracture diagnosis, treatment and follow-up, which research shows reduces the incidence of secondary fractures. Burge R, et al. JBMR 2007; 22 465-475. Yusuf A, et al. Presented at: ASBMR annual meeting. October 9-12, 2015; Seattle, WA. Abstract MO0350. Faridi KF, et al. JAMA Cardiol. 2016;1:147-155.